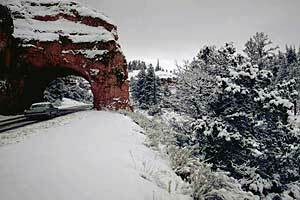 Utah is a great place to take a skiing vacation, regardless of your skiing abilities or experience. With a number of world class ski resorts, Utah boasts some of North America’s best skiing, and prides itself on having ‘the best snow on earth’. But don’t take my word for it – get out there and experience the magic of skiing in Utah for yourself! With such high quality resorts, and truly amazing snow coverage and texture, Utah is an excellent location for your skiing vacation. If you’re looking for a choice of resorts, but you don’t want to venture too far from home, Utah is definitely the place for you. Its fine, powdery snow can be experienced through most of the year, and you’d be simply mad not to visit Utah at some point if you’re a skiing enthusiast like me. One of the premier resorts in Utah is the Deer Valley Resort. 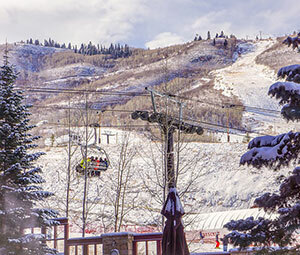 Ski Magazine voted Deer Valley as the best resort in the whole of North America, and it is easy to see why. The sheer quality of skiing to be had, combined with the breathtaking surrounding and facilities that are second to none, makes Deer Valley a connoisseurs choice. And what’s better, it feels a million miles away, yet it is only a short difference from the bustle of Salt Lake City. The resort itself has over 20 ski lifts to ensure queues are kept to an absolute minimum, and it is more than reasonably priced for the quality of the skiing. Another of Utah’s most cherished resorts is Powder Mountain. The haunt of the local skiers, Powder Mountain is relatively undiscovered in comparison to the other resorts, although it is just as good in terms of facilities. In fact, it is thought to be one of the best resorts if you are looking for value for money, and with an ideal climate, it really is the perfect place to host your skiing vacation. With only 7 ski lifts, Powder Mountain is a much smaller ski resort, but that doesn’t mean it’s not as good! If anything, you are likely to benefit from fewer skiers, meaning you have more slope to yourself! Powder Mountain is famous for its atmosphere, which just smacks of traditional Utah spirit and friendliness. And that’s not to mention its impressive dedicated skiing school, which provides lessons from some of the state’s most experienced skiing experts, all at very reasonable prices. With nightly grooming, and slopes available to meet all ability standards, Powder Mountain has certainly earned its reputation as a world class ski resort without the crowds, and is truly one of Utah’s best kept secrets. So if you are looking for a great skiing vacation to go with you family, or if you are looking for somewhere to hone your skills, you really couldn’t do better than Utah. Combining both world class accommodation and restaurants, with perfect natural skiing conditions, Utah is perceived as one of America’s best skiing states, and it is easy to see why with it’s beautiful, thick, powder snow. With its depth and quality of resorts, there’s something for everyone, and you will be sure to enjoy your vacation, like the millions of enthusiasts before you, that have chosen Utah for their skiing break.